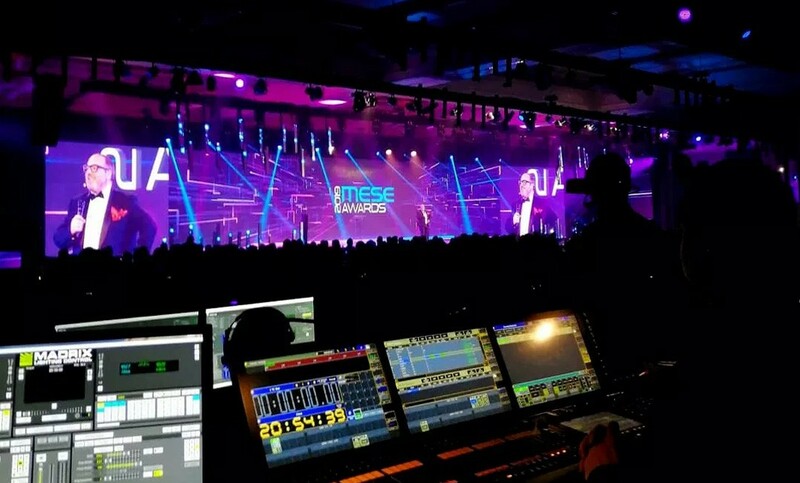 The MESE2019 was a culmination of the Event Industry’s top companies and individuals from Event Management companies, AV suppliers and venues. The awards night held at the Madinat Jumeirah’s Al Johara Ballroom on the 9th of April was a celebrated evening of the year’s most fruitful and successful events. Among the many industry experts affiliated, SLS was honored to be this year’s total AV Partner and sponsor for the prestigious awards night. 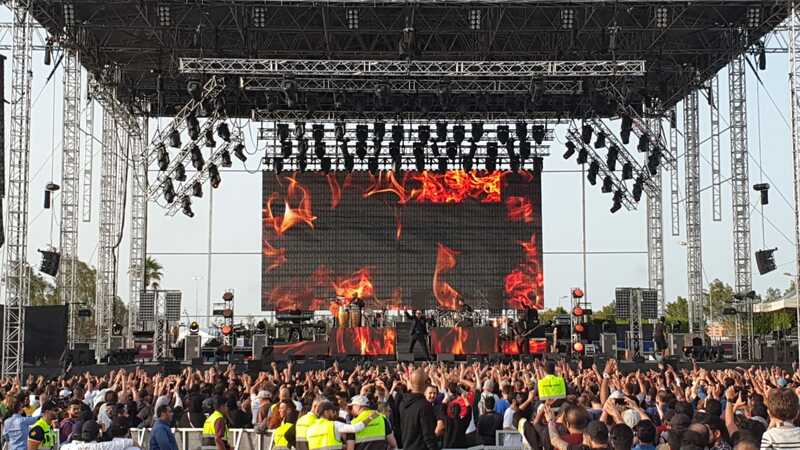 Audio Solutions brought in for the evening were L’Acoustics’ Kara, Syva and 5xt for its pure high-quality sound which was controlled through the DiGiCo SD12 console. With a 30m x 4m of LED main screen operating with Watchout fed from Ventuz, and 2 x Side screens of 5m x 3m for extended content, SLS brought visuals to life for the whole evening seamlessly. Complementing the video was lighting solutions, which consisted of 56 x LED Video battens adding a unique aesthetics to visuals, coupled with 44 Robe Mega Pointe, 8 Robe BMFL and 32 Robe Spiiders (which SLS had recently purchased a second batch to add on its growing inventory of lighting) along with 12 Clay Paky Sharpy, 26 Clay Paky Mythos, 108 LED Battens and 28 CFL Ares. Also being used on the show was the recently acquired Madrix System. 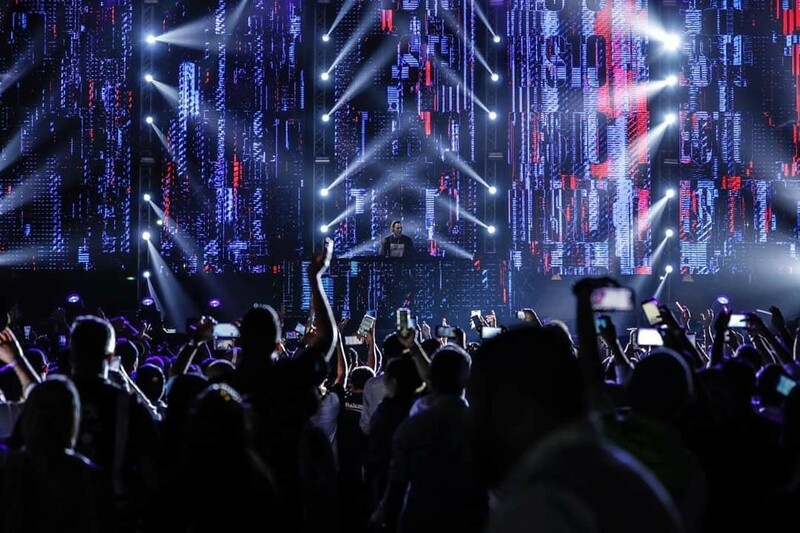 Linking lighting and video inputs with its Audio-Reactive Visuals feature, the Madrix system was another great addition to the evening’s showcase. Established in 1997, SLS is the longest running most reliable event solutions partner operating in Dubai, Oman, KSA and across the GCC.